In the Torah’s eye, nature’s quintessential beverage is “the fruit of the vine,” grape wine. Our Sages tell us of wine’s importance throughout the calendar year and throughout the Jewish life cycle. The Jewish People sanctifies Shabbos or Yom Tov over wine. At the Pesach Seder we express the four expressions of Geulah (freedom) over wine. One recites Sheva Brachos at a wedding over wine. A special Bracha was established by our Sages especially for wine, “Borei Pri HaGafen “ . At the same time, due to the severe Torah prohibition of drinking or using Yayin Nesach, wine that was used for idolatrous services, and the strict Rabbinical injunction against drinking Stam Yaynom, unsupervised grape wine, the requirement for top quality Kosher supervised wine is critical. To this day, Kosher wine production remains one of the most sensitive, tedious, and difficult processes to oversee. What is wine? How is wine made? What steps must be taken to insure the wine’s Kashrus throughout production? Wine is defined as the “fermented juice of grapes.” However, the Bracha that we recite “Borei Pri HaGafen,” the fruit of the vine, can be recited on non-fermented grape beverages too. Grape-wine beverages can be divided into Alcoholic Wine, Raisin Wine, and Grape Juice. Alcoholic Wine production takes place at the time of the grape harvest once or twice a year. The grape harvest usually coincides with the Yomim Noraim season. Grapes are carefully picked and transferred to the winery where the grapes are crushed or pressed. The crush or pressing can be done mechanically or manually. From the moment that the grapes are brought to the winery, the Mashgichim have to be on constant alert to prevent an inadvertent irreparable Hamshacha, thus disqualifying the total winemaking process. Hamshacah is defined in Avodah Zarah, as the separation of the juice of the grape from the grape skin. In production terms, any movement of the grape juice along the production line, initiated by the non-Jew, qualifies for Hamshacha. If this Hamshacha is done by a non-Jew anywhere along the line, whenever the juice is pressed, sampled, conveyed into the plant, or pumped by hose, the production is disqualified. An observant Jew must initiate, activate, or operate every essential step of the crush, including the fermentation, standardization, and sample taking for quality control. For this reason, the winery must be manned by a sizable crew of qualified Mashgichim throughout the duration of the crush and a smaller crew during standardization operations. The first step of production common to all types of wine production, is the crush–where the grapes are literally crushed and destemmed. From this point on, depending upon the wine color, type, or region where the wine is produced, production is customized to achieve the desired taste, fragrance, and aroma of each wine variety. These components are then conveyed into fermentation vats. Fermentation is the natural process that converts the grape juice into wine. For naturally fermented wine no additional ingredients are added, as there are natural enzymes contained in the grape skins that effect the change. Natural yeast contained in the grape converts the sugar in the grape juice into alcohol and carbon dioxide gas. As the gas escapes, the juice bubbles violently (ferments). For red wine, the skins are left in the fermentation vats longer to absorb the purple color; for white wine, the must ferments without the grape skins. Total fermentation results in a dry wine, while partial fermentation gives a sweet variety. If the vat is not air-tight, the must will turn to vinegar. However, many wineries are actually mevashel, pasteurize, the wine at a very early stage of production to avoid Hamshacah problems. Bishul is defined Halachically as the point when the juice begins to bubble. Although there are Halachic opinions that maintain that bishul is fulfilled once the wine begins evaporation, we are machmir, exercise stringencies, and require that the wine should be cooked at the higher temperature to achieve bishul, generally 180°F. Once cooked, the wine can no longer become Stam Yaynom and can no longer ferment naturally. 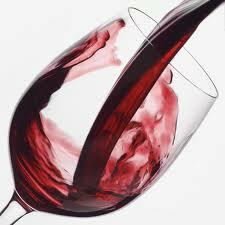 Therefore the wine needs to have outside wine enzymes added to the juice so that artificial fermentation can occur. However, Hashgocha is needed at this point as well to make sure that only Kosher wine enzymes are used. In the United States, most Kosher wines use this method of fermentation. For California red wines, the bishul, pasteurization takes place after fermentation and clarification. There is a combination of natural fermentation and additional wine-yeast additives that are used to ferment the red wine. California white wines are pressed, chilled, pasteurized and then fermented. New York wineries add sugar to their wines to achieve their sweetness. In some New York wineries, where all the workers are Jewish, wines are naturally fermented. After fermentation the wine is aged in storage casks to mature and develop flavor and fragrance. During the aging process, wine must be transferred from cask to cask to get rid of sediments and settled solids. After the maturation process, the aged wine is filtered and bottled. At some of the sensitive points of the wine development (i.e. aging, blending, or standardizing), non-mevshal wine must never be uncorked or sampled by a non-Jew so that a disqualifying Hamshacha will not occur. For wines that are already Mevushal, tanks have to be sealed with the Mashgiach’s seals to assure that no tampering occurs. Raisin Wine is the soaking of dried grapes, and is made from water. The added water compensates for the moisture lost. the normal ratio of water to raisins is three to one, although l’Halacha as long as the raisin concentrates accounts for 18% of the total volume, the raisin wine is acceptable. This combination soaks and ferments the raisin until the wine taste is absorbed into the liquid. 2. The juice must taste like grape juice. If these circumstances are not met, the bracha said is “shehakol“.